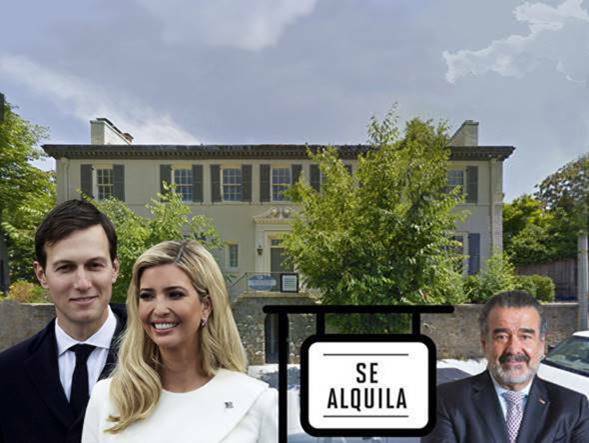 Pictured above are Jared Kushner, Ivanka Trump, Andrónico Luksic Craig and the $5.5 billion Washington, DC town house that Kushner and Trump leased from Luksic, the CEO of Antofagasta Holdings and the richest man in Chile. Luksic purchased it the week after Donald Trump won the election and immediately leased it to Kushner. But the project hinges on the resolution of a legal dispute with the US government, which under former President Barack Obama, refused to renew the company’s mineral leases in 2016 to protect the Boundary Waters Canoe Area Wilderness area from possible pollution. But the dispute would still need to be settled in court, he said, adding: “We’ll keep defending our right to develop the mine.” Trump’s election makes the deal much more likely to happen, given the strong pro-extractive business climate of the Trump administration. When Guillermo Luksic died in 2013, his older brother Andrónico Luksic stepped into the role of CEO of the Luksic Group (that their Croatian/Bolivian father had founded) and several of its related companies, notably Quinenco S.A., the holding company for the family’s non-mining investments. Andronico decided to concentrate on consolidation of the group and on building strong positions for the new acquisitions. Andronico is also CEO of Compañía Cervecerías Unidas S.A. and its subsidiary companies CCU Chile, CCU Argentina and ECUSA, vice chairman of Compania Sud Americana de Vapores S.A. (CAV), of Banco de Chile and a member of the board of directors of Madeco S.A. (renamed Invexans), and Sociedad de Fomento Fabril (SOFOFA). He is member of the International Advisory Council of Barrick Gold, the Brookings Institution, the Panama Canal Authority, the Chairman’s International Council of the Council of the Americas, International Advisory Council of the President, board member of the Chilean Pacific Foundation and is a member of the Latin American Council of Nature Conservancy. Andrónico Luksic is also a member of the Boards of Antofagasta plc and Antofagasta Minerals. The Luksic family is one of the richest families in the world. The founder’s second wife is worth $20 billion, At one time she was the 33rd richest person in the world. Barrick Gold Corporation is the largest gold mining company in the world, with its headquarters in Toronto, Ontario.